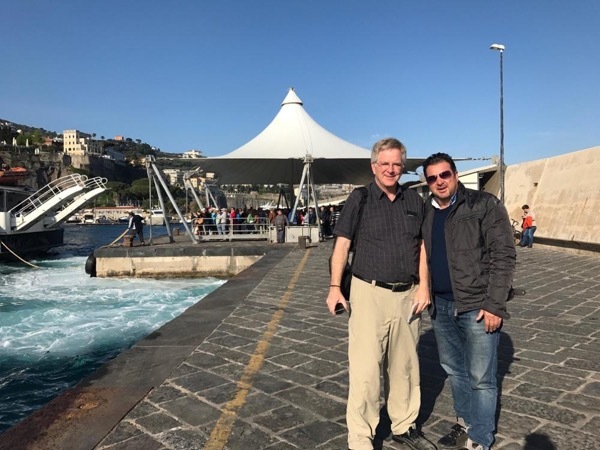 Traveler Review for Private Tour in Napoli, Campania, Italy by Tour Guide Carmine F.
About Carmine F. Message Carmine F.
Marvelous day visiting Pompei and Napoles with Carmine. Evething was perfect since the train station where we met to start our tour. His car is very spacious (we were 7 people), clean and confortable. He took us to a Winery Restaurant for a delicius lunch. My family and I highly recommend Carmine.